LAVERTON NORTH, AUSTRALIA – March 12, 2009: In its 100 year history, Suzuki has developed an outstanding reputation for manufacturing a range of cars, 4WDs, motorcycles and marine products offering excellent value for money and exceptional reliability. Continually striving to improve the breed through competition motorsport, Suzuki has racked up a string of world titles on two and four wheels and is now one of the 10 largest automotive manufacturers on the planet. In 1909, Michio Suzuki founded the Suzuki Loom Company in the small seacoast village of Hamamatsu, Japan. Business boomed as Suzuki built weaving looms for Japan's giant silk industry. Suzuki's only desire was to build better, more user-friendly looms and, for the first 30 years of the company's existence, its focus was on the development and production of these exceptionally complex machines. Despite the success of his looms, Michio realized his company had to diversify and he began to look at other products. These first Suzuki motor vehicles were powered by a then-innovative, liquid-cooled, four-stroke, four-cylinder engine. It featured a cast aluminum crankcase and gearbox and generated 13 horsepower from a displacement of less than 800cc. Suzuki's first two-wheel effort came in the form of a motorized bicycle called the Power Free. Designed to be inexpensive and simple to build and maintain, the 1952 Power Free featured a 36cc two-stroke engine and an ingenious double sprocket gear system. The system was so inspired that the patent office of the new Japanese democratic government granted Suzuki a financial subsidy to continue research in motorcycle engineering. And so was born Suzuki Motor Corporation. In 1953, Suzuki scored the first of countless racing victories when the tiny 60cc Diamond Free won its class in the Mount Fuji Hill Climb. By 1954, Suzuki was producing 6,000 motorcycles per month and had officially changed its name to Suzuki Motor Co., Ltd. Following the success of its first motorcycles, Michio created an even more successful automobile – the 1955 Suzulight – which showcased the company’s penchant for innovation from the beginning. Over the next decade Suzuki continued to develop its motorcycle range and looking to expand its reach throughout the world. Australia was one of the first countries to import Suzukis, with a batch of 125 cc Suzuki Colleda motorcycles arriving in January, 1960. With new levels of value and reliability, the fast-growing range of motorcycles quickly became popular with Australian customers. Most notable were Suzuki's two-stroke vertical twins. In 1966, the X6 Hustler became Suzuki's first true street-legal performance machine, and the fastest Japanese 250cc of its time. It was followed by the Cobra, the world’s first 500cc two-stroke motorcycle, which developed with the more masculine styling of the Titan that became one of the most popular motorcycles on the road here in the early 1970s. The company also continued its motorcycle racing efforts, developing its engineering skills and learning everything it could. By 1962, Suzuki was in Europe winning the first ever 50cc Grand Prix World Championship. A year later, Suzuki won the title again, as well as the 50cc class at the legendary Isle of Man TT. Suzuki also began competing and winning off-road. In the World Motocross Championships, long dominated by European makes, Suzuki won the 1971 500cc title; a trophy it would gain four more times, in 1972, '73, '75 and '76. Suzuki extended its MX success with an incredible string of victories in the 125cc World Championship, winning the title from 1975 to 1984. Suzuki's road racing efforts expanded to the premier 500cc class, with charismatic Brit Barry Sheene winning successive World Championships onboard the exotic RG500 square four. This enduring race bike would go on to two more title wins in 1981 and 1982 with Italians Marco Lucchinelli and Franco Uncini riding. The GS worked well on the track, too, with Wes Cooley piloting a Yoshimura-tuned GS1000 to Suzuki’s first AMA Superbike Championship in 1979. He followed up with another win in 1980, as well as two wins in the world’s premier motorcycle endurance race – the Suzuka Eight Hour. By the early 1980s, Suzuki had firmly staked out its territory as a major player in the market for tough, reliable, high-performance motorcycles. Suzuki began engineering a new breed of vehicle – a compact 4x4 – in 1968. Known as the LJ10, it was powered by a tiny 360cc two-stroke engine developing just 24 horsepower. In spite of the lack of mechanical power, the combination of a lightweight body, compact dimensions and full-time 4x4 gearing made the LJ10 an exceptional performer in tough, off-road conditions. Suzuki Australia P/L (SAPL) was incorporated in 1980, as a motorcycle and marine product distributor, responsible for importing, marketing and selling the growing Suzuki range. And so was born the Vitara. 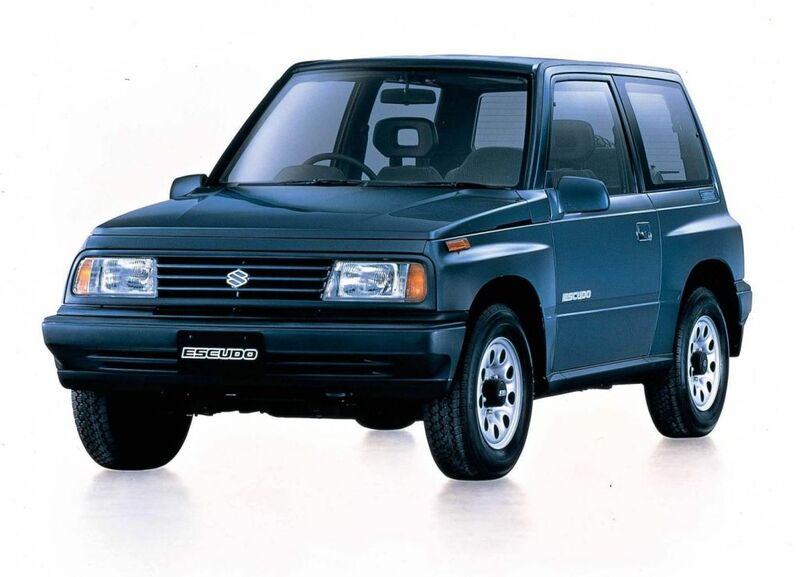 Throughout those years the Suzuki range continued to grow, including cult favourites such as the Swift GTi and the Cappuccino, and perennial favourites such as the Grand Vitara and current Swift. Internationally, Suzuki has traditionally targeted developing countries with growing populations, including, China, Hungary, Indonesia and Pakistan, while India is now one of the jewels in the Suzuki crown. The company boasts a sales network of 562 outlets in 372 towns and cities, and more than 2500 service facilities in over 1200 towns and cities. In 1977, Suzuki took to the water, forming a new company to market its proven outboard motors in the U.S. By the 1980s, Suzuki was selling a complete lineup of two-stroke motors, ranging from a modest two-horsepower model to a mighty 225-horse outboard. Along the way, Suzuki introduced a series of technological breakthroughs, including oil injection, dual-plug heads and Microlink, a computerized control system for optimal engine timing. After the initial success of the GS and the subsequent Katana super sport models of the early 1980s, Suzuki originated the mass-production repli-racer Superbike in 1986 with its revolutionary GSX-R750. Never before had a bike with so much potential been offered to so many riders. A young, fearless Kevin Schwantz won the Daytona 200-miler in 1988, the first of numerous other Superbike races on GSX-Rs en route to the 500 cc title on board a Suzuki RG500 in 1994. And Suzuki started its longtime ownership of the near-stock AMA 750cc Supersport Series. Since 1996, Suzuki has won every 750cc SS title, and virtually every race. In 1996, Suzuki unveiled an all-new 750 with a liquid-cooled engine and twin-spar aluminum frame. Lighter than some of its competitors by 20 kg, the new GSX-R ruled Supersport racing. With the help of Aussie Mat Mladin, this GSX-R claimed back-to-back AMA Superbike Championships in 1999 and 2000. In 2001, Mladin and Yoshimura debuted yet another new low-mass GSX-R750 at Daytona, and easily won the event. The year also saw the debut of the outrageous GSX-R1000, featuring class-leading horsepower packed into a ridiculously light frame. Like the 750 before it, the new 1000 dominated bike-of-the-year honors worldwide. While the GSX-Rs collected most of Suzuki's road racing trophies, other notable wins came around the world. Kenny Roberts Jr joined Team Suzuki in 1999 and won a slew of races on his Suzuki V-four before winning his first 500cc World Championship during the 2000 season. Off the pavement, Suzuki saw increasing success as well. In the mid-1990s, Suzuki claimed 125cc AMA East and West Coast Supercross Championships, while South African Greg Albertyn won the AMA 250cc Outdoor National Championship. What was once a small group of dedicated engineers, designing the world's finest weaving machinery, has today grown into a worldwide company of almost 50,000 people, who create and distribute products in more than 190 nations. Worldwide, Suzuki sells more than two million vehicles a year, surpassing the sales of such renowned marques as BMW, Mercedes and Mazda. Suzuki motorcycles are the first choice of more than 2 million riders every year.